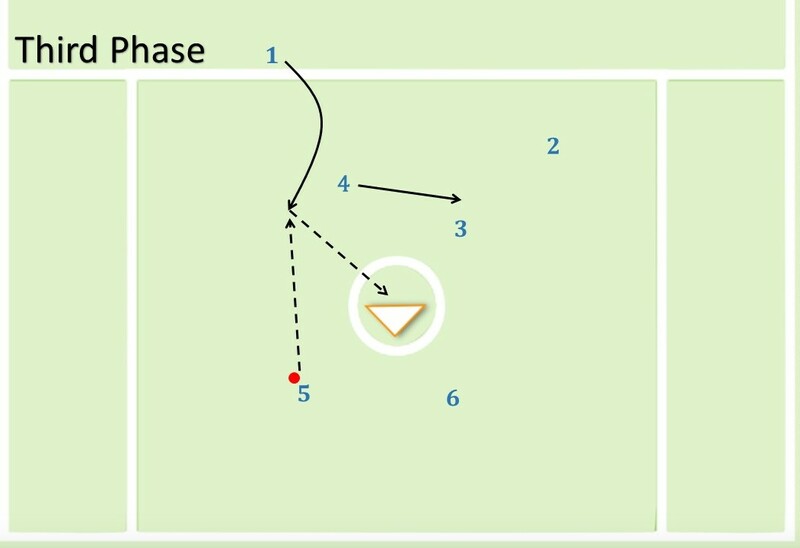 Objective: To move the ball quickly to the right side of the field creating space and pass the ball to a cutting midfielder. - Player 6 starts with the ball. - Player 6 dodges to the crease and go back to X. - Player 3 cuts low on the pass from 6 to 5. - Player 4 cuts high across the crease on the pass from 6 to 5. - Player 2 create motion away from player 1. - Player 4 create motion away from player 1. - Player 1 shot to the goal.